I’ve been holding onto a bottle of Oloroso from Bodegas Urium for a special occasion. Sadly, their wines are not currently available in my corner of the world. Yet, this month I’ve had so many reasons to celebrate, I felt it was time to break out the bottle. The aroma alone smacked me with this single thought – It smells like home. It all started when I was planning my sherry odyssey back in April. 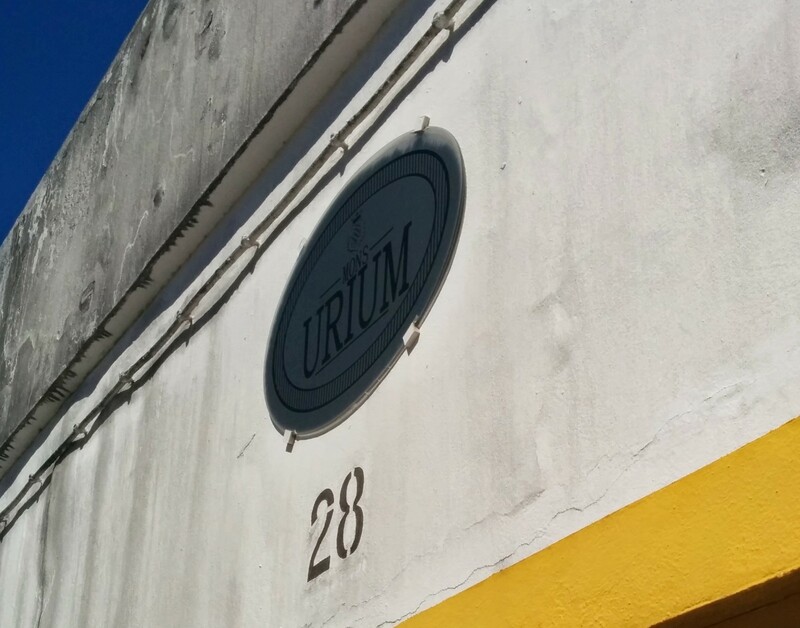 It was highly recommended I visit Bodegas Urium. My schedule was packed and since they are only available by appointment on Tuesdays and Thursdays, I couldn’t squeeze them in. Thank goodness for Whatsapp! I received a last minute text from Rocío Ruiz, daughter and director of the winery. She happened to be in the bodega on a Monday for a special visit, and invited me to join them for the tasting. I had an appointment right before with Grupo Estevez, but was determined to make it work! This decision set the stage for something far greater than just a tasting. It was wonderful tasting through the wines directly from the barrels and to listen in on the fast paced conversation. I enjoyed sharing how Rocío and I met through Twitter connections and why I’m so passionate about sherry. 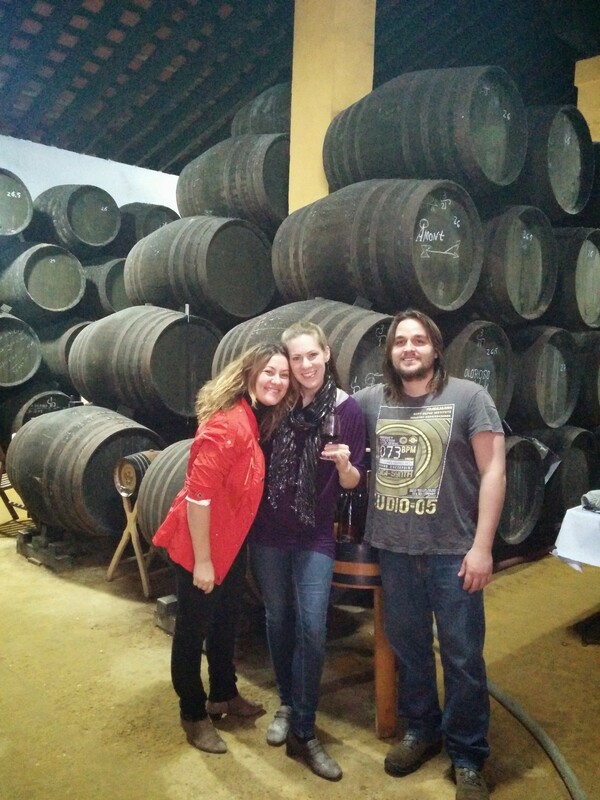 Rocío coined me the Sherry Missionary; out to tell the world and convert them to drink more sherry! Each glass of wine came straight from the barrels! 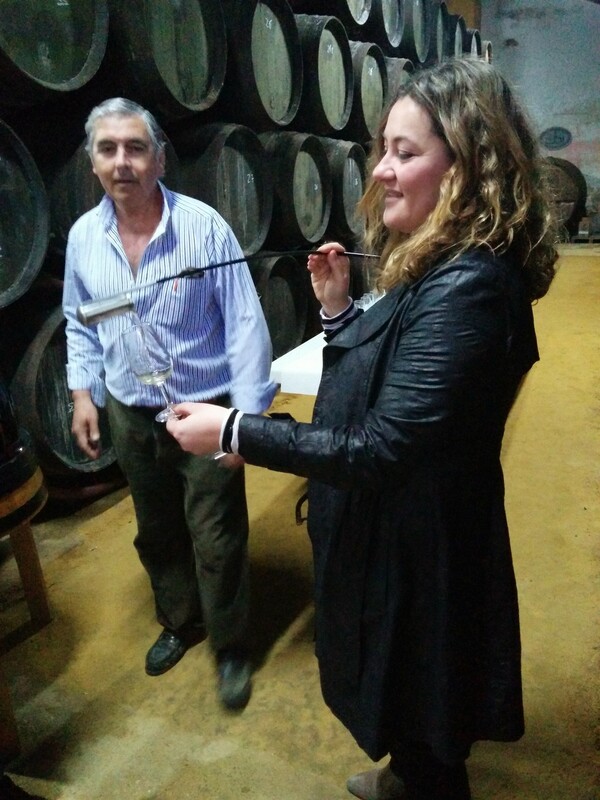 Rocío poured Fino from the same solera to demonstrate how each barrel can impact the wine differently. We also tasted a ten-year-old Fino whose flor was dying off and will be blended into Amontillado. The six of us spent the entire afternoon drinking through Fino, Amontillado, Oloroso, Palo Cortado and Pedro Ximenez VORS. Their elegant wine bottles are a beautiful way to showcase these wines. Every little detail represents the passion this family has for its wine! As everyone was leaving, Rocío took me out for tapas before she had to head back home to Huelva. We parked in a supermarket lot, which used to be a beautiful cathedral style sherry bodega for Garvey’s. (Note: you must make a purchase if you want to exit the lot.) Once in the tapas bar, we talked like old friends. It was amazing how connected we felt for only having met for the first time. She insisted that I come back the next day to meet her father, Alonso. I’ll write about that experience in another post. This visit was meant to be. It was far more than a sherry tasting. I made a new bond of friendship with a kindred spirit! My husband teases me that we’re like two teenage girls when we text each other. That may also be why it took so long to open the bottle. I long to return, and hate how far it is from Portland to Jerez. Urium isn’t just wine, it’s family. Walk through their doors and you’ll see what I mean. Thank you Nedra! Stay tuned when I tell about Alonso, the proprietor and wine maker! 📷 from @lauraonizuka - [Flamenco Student Stories] #13 💃🏽 Seana You could say I started flamenco in second grade, or perhaps in Sevilla when I studied abroad in college. However, I really pursued flamenco whilst living in Denver. I found a teacher originally from Sevilla. It was the perfect form of dance that did not require a partner, allowed me to be any age, any shape and provided a community of friendship. When I prepared to move back to Oregon in 2012, I knew I wanted to find a flamenco community. I found Laura. She taught me more than just how to dance the steps, she helped me understand how to improvise within the structure of each flamenco rhythm. Even if I'm unable to attend class regularly, I am never left feeling dissatisfied by the fun, exercise and community of friendships. Fingers crossed, I'll be in Jerez for la feria 2020! !